Another Falls — What are the Odds? 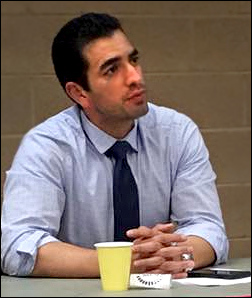 Dec. 19, 2017 — Freshman Nevada Rep. Ruben Kihuen (D-Las Vegas), who previously said he would not resign when sexual impropriety allegations were made against him, became the sixth current House member to either leave Congress or retire unexpectedly due to harassment claims. Sen. Al Franken (D-MN) and Alabama special election candidate Roy Moore (R) also succumbed to accusations that fall within this same category either through resignation or defeat at the polls. Kihuen was accused of aggressive behavior with a former campaign staffer. When a second woman came forward with a similar story, the freshman Representative decided to end his current congressional tenure when this session adjourns. His 4th CD is a marginal political district. When Nevada was awarded a fourth seat in 2010 reapportionment, it appeared that the new Las Vegas-anchored seat would favor the Democrats because the Hispanic population tops 29.1 percent in addition to an African American component of 15.6 percent. But, the district hasn’t always been reliable. Despite their partisan opponents carrying the seat in the two presidential elections since its creation (Clinton: 49-45 percent; Obama: 54-44 percent), Republicans prevailed here in several statewide elections, and GOP congressional candidate Cresent Hardy (R-Mesquite) defeated one-term Rep. Steven Horsford (D-Las Vegas) in the GOP landslide year before Kihuen turned the tables on the freshman incumbent in 2016. In the district’s short history, the electorate has yet to re-elect an incumbent House member. Dec. 15, 2017 — Predictably, Democrats and media commentators are promoting the premise that Doug Jones’ victory in Tuesday’s Alabama special Senate election is another sign that a Democratic wave is building to transform the minority party into one that wins control of at least one congressional chamber next year. But the actual numbers do not provide evidence for such an analysis. 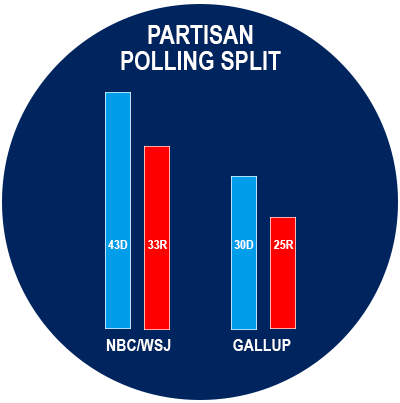 Looking at the actual figures, there is more supporting data for the supposition that Jones’ win is more likely due to Republican defections from former state Supreme Court Chief Justice Roy Moore, rather than a massive increase in Democratic turnout. While the Alabama special did feature a higher turnout than the last midterm election (2014), we also saw this phenomenon occur in two earlier special elections: the Montana at-large and GA-6 congressional contests. Republicans won both of those votes, proving that the GOP base was sufficiently energized in those two places to withstand increased Democratic turnout. But, Alabama doesn’t fit that same model either in the mode of Republican loyalty or an energized Democratic base. 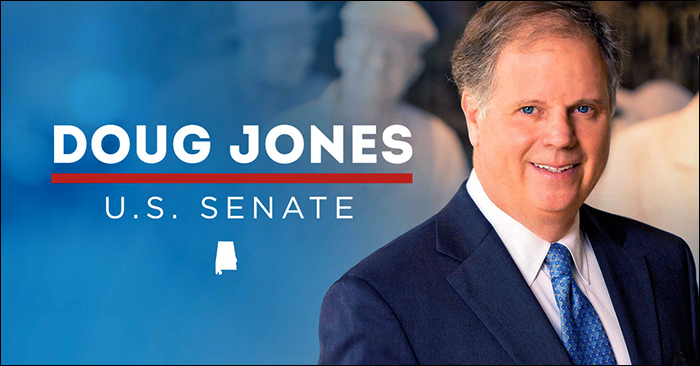 Alabama Senator-elect Doug Jones’ campaign image. Dec. 14, 2017 — With the final polling covering all possibilities — from Democrat Doug Jones leading by 10 points, to Republican Roy Moore ahead by nine, to a straight tie — Tuesday’s Alabama special Senate election carried a great deal of uncertainty as voters cast their ballots. Republicans were badly split between those party leaders publicly repulsed by the allegations of sexual impropriety against Moore, to those who felt that holding the seat and preventing the Democrats from having any path to obtaining the Senate majority in 2018 was most important. The split was enough to allow Democrat Jones, a former Birmingham region US Attorney, to slip past Judge Moore and secure what previously had been a safely Republican seat for the next three years. 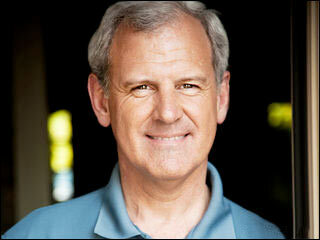 Jones will replace appointed Sen. Luther Strange (R) who fell to Moore in the Republican run-off in late September. The unofficial final totals give Jones 49.9 percent of the vote as compared to Moore’s 48.4 percent. Election Day’s final turnout figure showed 1,344,406 individuals having cast ballot, a total that will increase when all absentee and provisional ballots are finally added to the mix. In comparison, the last gubernatorial election (2014) drew 1,180,413. The 2016 presidential campaign saw 2,123,372 votes cast. Therefore, this special election, as did others earlier in the cycle (MT-AL; GA-6), actually produced a higher voter turnout than the state’s last regular midterm election.